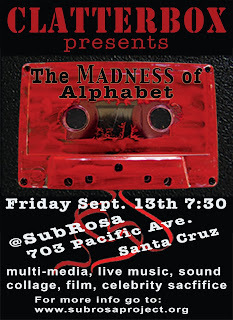 Santa Cruz Guerilla Drive-In: Fri. Sept. 13th at 7:30pm- Clatterbox "The Madness of Alphabet"
Fri. Sept. 13th at 7:30pm- Clatterbox "The Madness of Alphabet"
SubRosa is an anarchist community space run by a collective of committed volunteers. 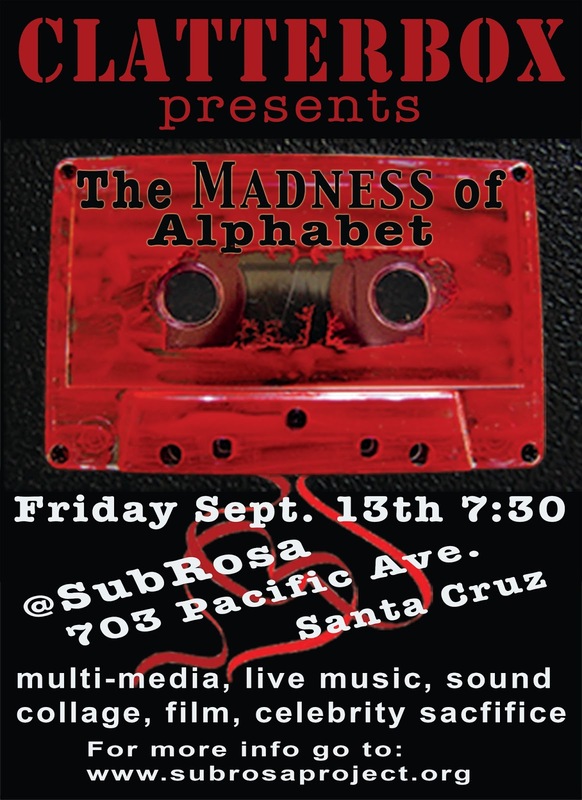 We put energy into SubRosa to create a vibrant community space available for events, classes, and meetings, collaborations and organizing, art and creativity, as well as reading and studying. We are working to create a world guided by mutual support, without coercive control.